Scott Bilker, author of the best-selling books, Credit Card and Debt Management, How to be more Credit Card and Debt Smart, and Talk Your Way Out of Credit Card Debt, is the creator of DebtSmart.com. He is an electrical engineer, with a B.S. from Newark College of Engineering, and a member of Tau Beta Pi (National Engineering Honor Society) as well as the Society of American Business Editors and Writers. Locally, he served for three years as an elected Board of Education member in Barnegat, NJ. Scott has been finding great credit deals and saving thousands of dollars for himself and others since 1991. His credit card advice has been featured in several magazines, newspapers, and online resources including Entrepreneur Magazine, Consumer Reports, AARP Bulletin, Money Magazine (June & August), The Wall Street Journal (6/08, 9/07, 3/07, 1/07, 1/07, 7/06 & 4/05), Newsweek, The Christian Science Monitor, SmartMoney.com, Kiplinger’s Personal Finance Magazine, Reader’s Digest, CNN/Money, Kiplinger’s Success With Your Money, BankRate.com, Good Housekeeping, CBS Marketwatch, Woman’s World, College Bound Teen, The Motley Fool, CBS News (The Early Show), Bottom Line Personal (April & May), Men’s Health, DETAILS, Woman’s Day, Family Circle, Ladies’ Home Journal, Real Simple, Physician’s Money Digest, Medical Economics, The San Francisco Chronicle, Glamour, Greensburg Tribune-Review, The Sun, and Valley Voice. Plus, his free DebtSmart® Email Newsletter is continuously helping consumers find their best borrowing options. 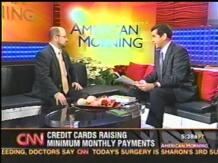 Scott has also appeared on CNN’s American Morning with Miles O’Brien & Soledad O’Brien, Today in NY with Roseanne Colletti, CNNfn‘s Your Money with Ali Velshi, NBC 10 News’ Consumer Alert, CBS News, FOX News, NBC 6 News’ Consumer Connection, ABC News 7 On Your Side, PBS’s Take Note with Patty Satalia, WB 17’s Community Close-Up (WPHL-TV Philadelphia) with Dorie Lenz, the Extra Help Channel’s In the Money with J. J. Burns (C.F.P. ), and CN8’s Family Talk with Mary Amoroso. 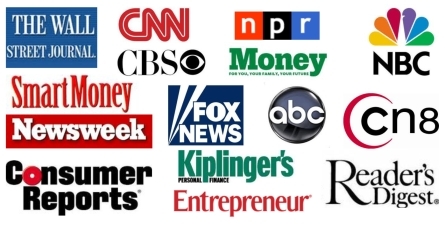 Plus, he’s been interviewed on more than 1,000 radio stations (coast-to-coast, in Canada, and the UK) including National Public Radio’s (NPR) Morning Edition with Steve Inskeep, WSJ Radio, The Wall Street Journal This Morning with Michael Wallace, WFAN (NY) with Bob Salter, KFMB (San Diego) with Jeff & Jer, and Talk America Network’s It’s Your Money with Dr. William Bailey.